Books to Prisons Holiday Book Sale! 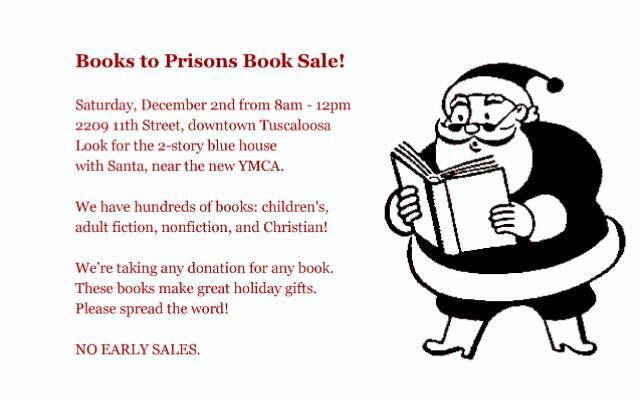 Don't miss the Books To Prisons Holiday Book Sale! We have hundreds of books: children's, adult fiction, nonfiction, and Christian. We're taking any donation for any book. These books make great holiday gifts. Please spread the word! No early sales! Location: 2209 11th Street, downtown Tuscaloosa. Look for the 2-story blue house with Santa, near the new YMCA.